Here is a group photo of the Super-Kamiocollaborator guests of the laureate. 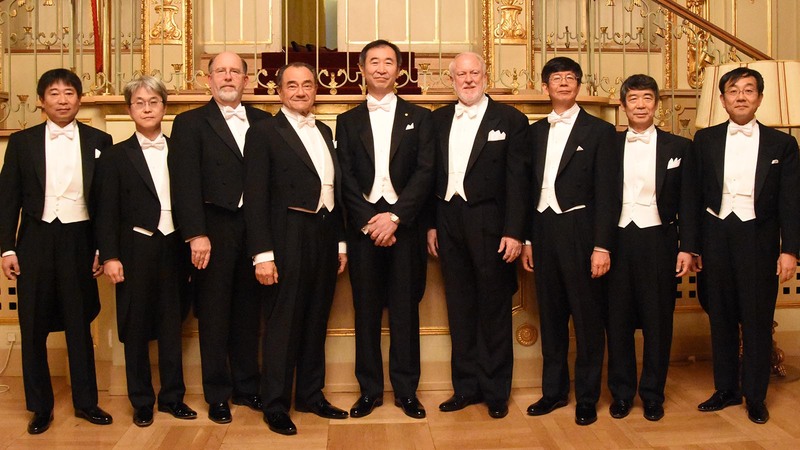 From left: Masato Takita, Yoshitaka Itow, Ed Kearns, Hank Sobel, Takaaki Kajita, Hank Sobel, Yoichiro Suzuki, Kenzo Nakamura, Masayuki Nakahata. 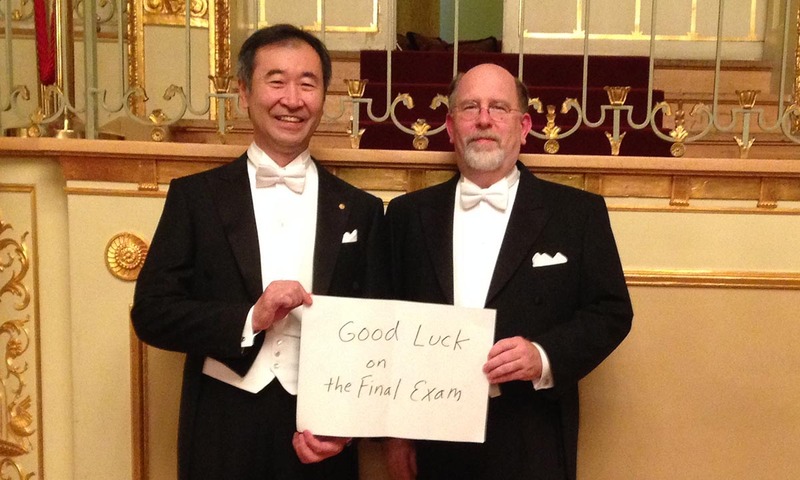 and a greeting to Ed’s PY 251 students!